Usually my Foodie Friday posts are things that I have cooked, and while I intend it to stay that way, I thought it was worth dedicating one post to a couple of new(ish) restaurants I’ve visited in the neighbourhood recently. 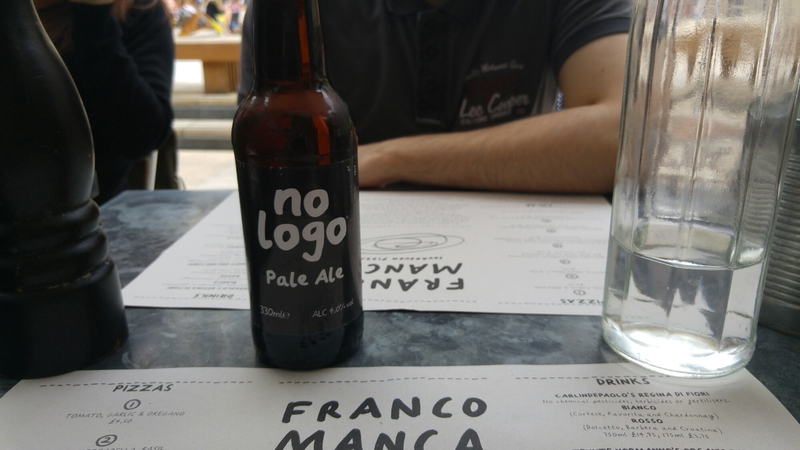 First up is Franco Manca. 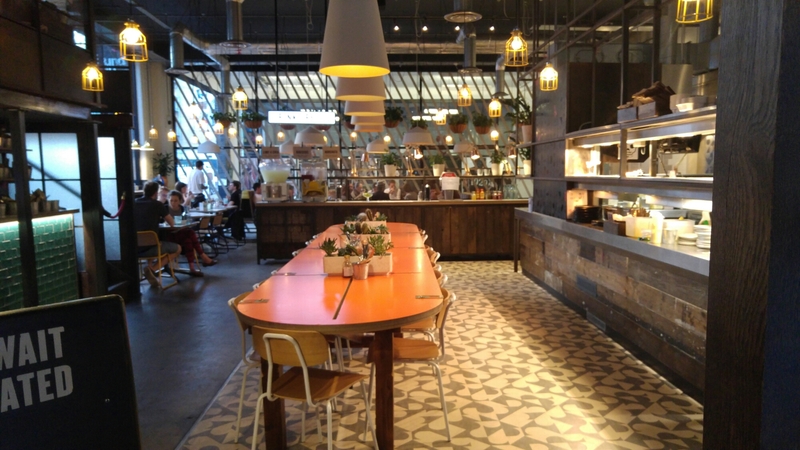 While this is not new, the branch in Broadgate Circle, right behind Liverpool Station is pretty new! 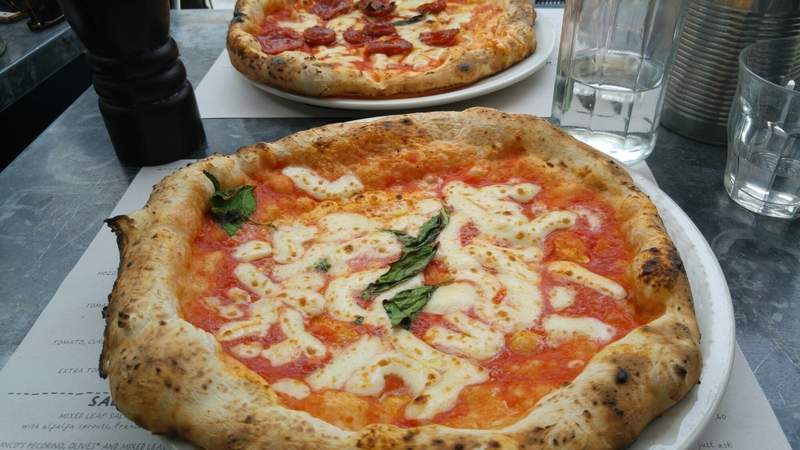 The pizzas were delicious, as most pizza usually is, but there was definitely something a bit different about them than the usual Franco Manca standard. I felt as though the cheese was a bit more sparse, as was the sauce and the base had a little bit of a burnt taste to it. I’d give it another chance, but little disappointing compared to their sister branches. The Bulgarian got their No Logo pale ale, which was quite nice. I stuck to water, but it was a bit of a mission to get a refill. I’m not sure when exactly this branch opened, but I think they might have a few minor teething problems when it comes to service and food quality. Still, it’s Franco Manca so it’s not like it’ll ever be terrible! Next is DF/Mexico. Created by the Godfather of Mexican restaurants in London, Wahaca, this place opened about a year ago and I kept meaning to go! It’s your standard burrito and tacos fare, but with a few new dishes such as tortas, which are essentially a burrito slash burger kind of concoction. The prices are reasonable, and the ordering works in a similar way to their other concept, Burrito Mama. You order from a self serve till (although there is a human cashier too if you prefer! 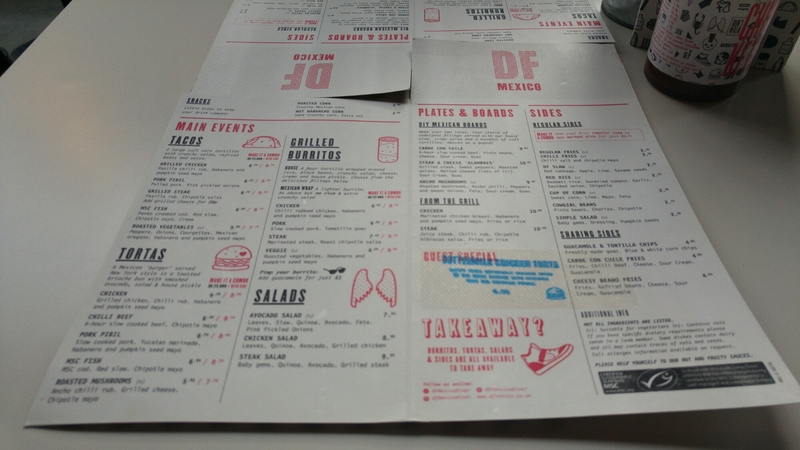 ), pay upfront and take your seat to be served, a la Nando’s. I’m usually not massively fond of the fast-food style self serve restaurant, but here it really works. Its also great because it cuts out the waiting around for a bill! The interior is really cool. Very minimalist cool, but still has a cosiness to it. It also wasn’t crazy busy the Sunday evening we went, which was really nice. 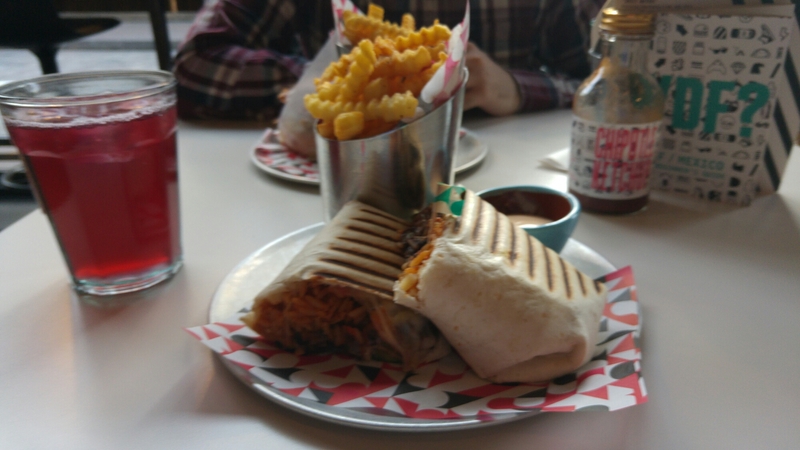 I got the veggie burrito, while the Bulgarian got the chilli beef torta. So. Much. Food. Honestly, we were walking out of there completely stuffed. I think next time, sharing a side is probably a better idea than one each! The house soft drinks, horchata, hibiscus and lime & chia, were all unlimited refills, which was really nice – a rarity in London. 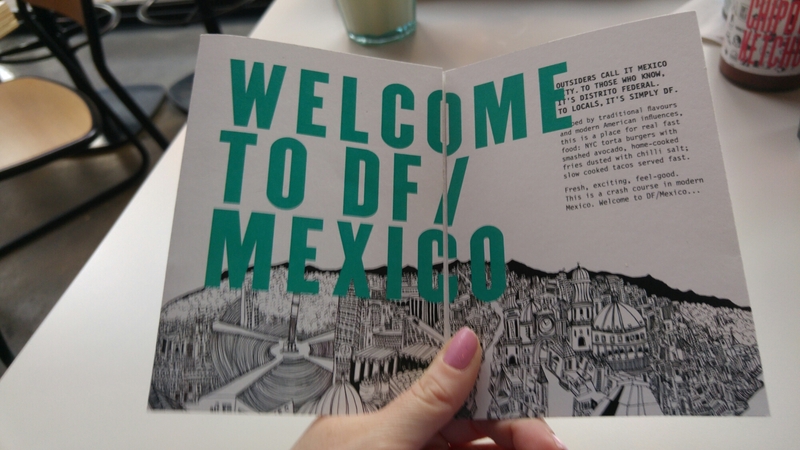 Overall, DF/Mexico is now definitely going on my list of must-go to places in the neighbourhood!